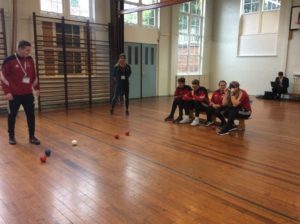 World Champion Inline Skater, Jenna Downing visited Erdington Academy today to work with our PE Apprentices. 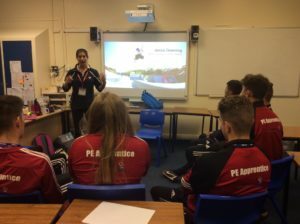 Jenna’s story is an inspirational one, and since retiring from the sport, she now travels up and down the country motivating young people to take part in sport. 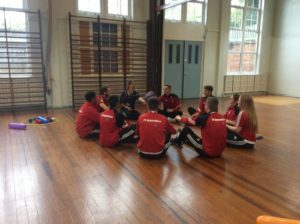 The PE Apprentices were shown a variety of inclusion sports that they will use with primary children in our partnership on Thursday 2nd November. The session was a fantastic reminder that sport should be for all and not just for the few. 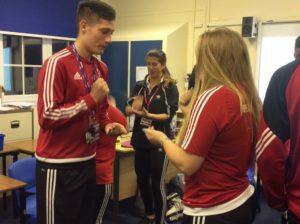 Many thanks to Jenna and her colleagues from the Youth Sport Trust for an incredible morning.